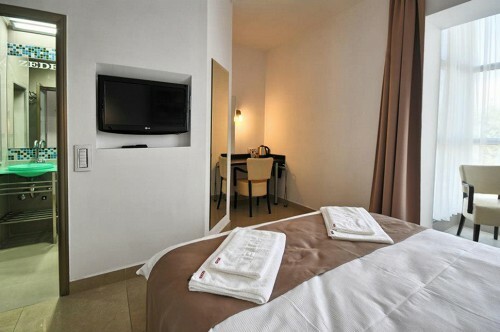 Quadruple room has two separated rooms with two separated bathrooms . 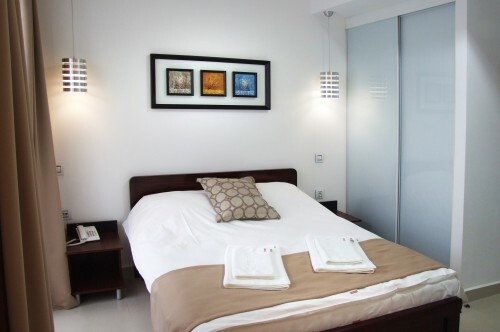 One of units has one double bed and other units is equiped with two single beds. 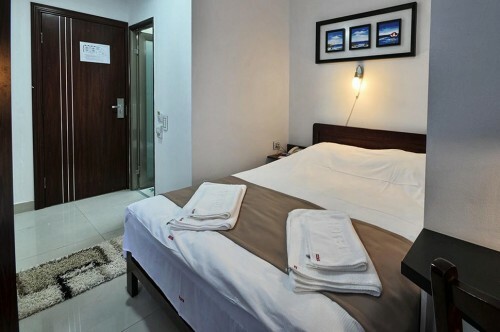 It is equipped with shower, free tea and cafe, slippers, hygiene set, teeth brushing set, shower cap, all in the comfort and relaxation to our guests. 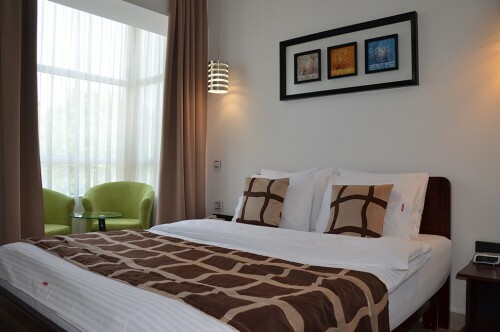 De-lux double room is equipped with jacuzzi bathtub and separate shower, free tea and cafe, mini-bar, slippers, hygiene set, teeth brushing set, shower cap, all in the comfort and relaxation to our guests. Bottle of wine and basket of fruits is included in price.